Online RSV Bible texts. The story of David begins in 1 Samuel, chapters 7 – 30 and continues through 2 Samuel and 1 Kings, chapters 1 – 3. The narrative of Paul’s journeys runs from Acts 8 through Acts 28. His most famous letter is Romans, which was written to the newly-forming Christian enclave in Rome before he arrived there to meet them. New Advent is part of the Catholic Encyclopeida. This is a very extensive essay about Francis and his impact on the Church and the world. 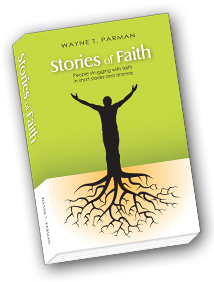 Brief biography of Francis of Assisi and source of the image on Stories of Faith. This is the book upon which the play AL – God’s Better Angel is based. Eberhard Bethge’s biography is the best source of detailed information about Bonhoeffer’s life and times. A non–profit, ecumenical and interfaith scholarly organization dedicated to preserving Bonhoeffer’s memory and knowledge of his mission.